This professional dog clipper and grooming kit has been designed to be used at home on all of your pets. 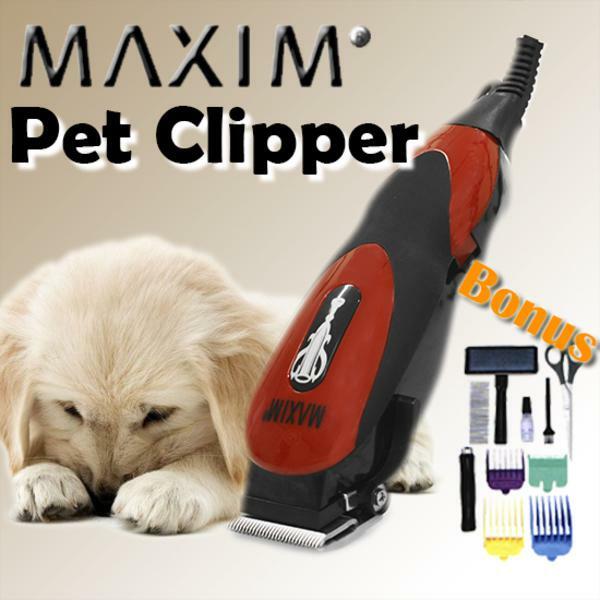 It has a powerful motor that allows you to clip your pets hair for long periods of time, without having to let the clipper cool. High precision and heavy-duty blade. Stable and quiet operation to alleviate stress on the animal. Easy and quick release of the blade. The clipper equipped with a hanging hook at the back. Australia Standards and CE approval. Professional pet clippers designed for grooming at home. High carbon steel cutting set built for endurance. 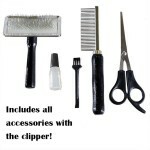 Use in convenience of your own home and save on grooming costs. 4x Attachments (1.5, 6, 10 and 16mm). 1x Bottle of lubricating oil.